It wasn’t really a surprise when Catherine Zeta-Jones was announced in the Best Supporting Actress category for which Meryl has won her 13th nomination for “Adaptation”. Later in the show, she presented the Lifetime Achivement Award to Peter O’Toole. Nicole Kidman won the trophy for “The Hours”, so did Chris Cooper for “Adaptation”. 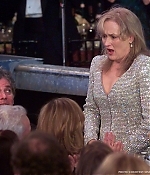 Altough she lost to Catherine Zeta-Jones in the Best Supporting Actress category, Meryl Streep entered the stage at the British Academy Awards for giving perhaps the evening’s best moment – Streep read aloud Kaufman’s “faxed” acceptance speech, which was as funny as Adaptation and even funnier read by Streep. 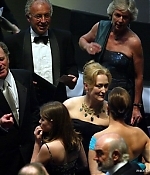 Kaufman won for Best Adapted Screenplay, Nicole Kidman was named Best Actress for “The Hours”. The Berlinale’s Silver Bear for the Best Actress of the year went surprisingly to three actress: Nicole Kidman, Julianne Moore and Meryl Streep for “The Hours”. “Adaptation” also won the festival’s Silver Bear as Best Film. 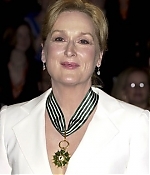 This morning, Meryl received an Academy Award nomination for Best Supporting Actress for “Adaptation”. Other nominees in this category are Kathy Bates, Julianne Moore, Queen Latifah and Catherine Zeta-Jones. “The Hours” was nominated in 9 categories, inlcuding Best Picture. 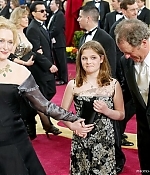 The Oscars will be handed out on March 23, 2003. 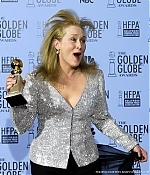 A studio mistake left Meryl Streep competing against herself for the Screen Actors Guild Awards, possibly costing her one if not two nominations. A Sony spokesman said a studio employee incorrectly submitted Streep’s name in the lead-actress category for “Adaptation”. 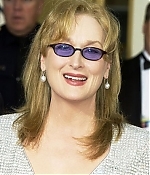 The studio considers it a supporting-actress role and has been pushing Streep in that category for other film awards. 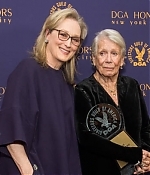 The mistake May have split Streep’s votes between “Adaptation” and her other contending role for “The Hours,” which Paramount also had submitted in the lead-actress category. 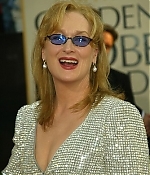 Again, she was nominated for both “The Hours” and “Adadaptation”, this time for the British Academy Award. 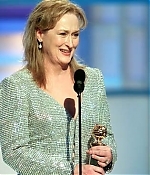 Meryl Streep won the Golden Globe for her supporting role in “Adaptation”. “The Hours” was named Best Motion Picture / Drama and Nicole Kidman won the Best Actress Award for “The Hours”. (Standing Ovation) Oh stop! Oh my God! I’ve just been nominated 789 times (laughter) and I was getting so settled over there for a long winter’s nap! (laughter). Oh God, oh I didn’t have anything prepared because it’s been like since the pleistocine era that I won anything (laughter). Oh goodness… Ok, mmhh… Yoga… I’m really so thrilled and so happy to have been able to work with this amazing group of youngsters over here… in “Adaptation”. 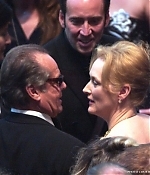 The prediciousley talented Nic Cage, the graceful and so gifted Chris Cooper (applause). It’s because of them I’m here and of course Spike and Susan Orlean, that I apologize… you know for… the second half. And to Charlie Kaufmann, who tried very hard to adapt your book, Susan. And it’s such a beautiful job, it’s just an amazing film and I’m so glad. Thank you thank you thank you thank you thank you thank you!